One of the perks of being Director of the Cabinet of the Minister Plenipotentiary of Curaçao in the Netherlands is, that I am occasionally given the opportunity to represent the Minister. This is one of those occasions and not just anyone.I am an avid reader; a great lover of books and one of my most cherished experiences is that of being handed a beautiful book. Particularly, a unique book written by a remarkable human being and, to boot, on a subject matter that is near and dear to my heart given my British, French and Dutch Caribbean origins. Because certainly, Mr. Jacob Gelt Dekker in his outlook and contributions to society and mankind may as well be considered a present-day Leonardo da Vinci. In Curaçao Mr. Gelt Dekker is an institution owing to what he has done for the island’s economy and its historical and cultural life. A known critic of primarily political developments on the island, I would say that Gelt Dekker’s attitude stems from a sincere involvement with and concern for Curaçao and its inhabitants. His latest book, ‘The Caribbean’, is the center of attention today. 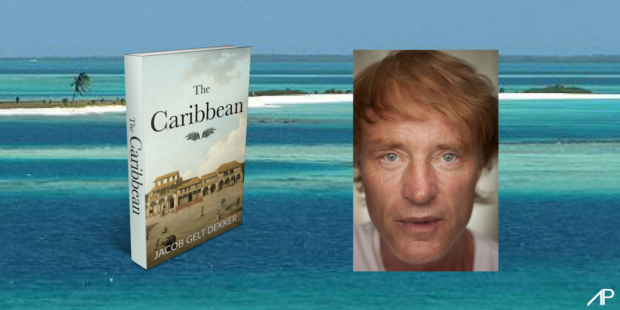 The book describes Gelt Dekker’s actual or possibly fictitious sea voyage across the Caribbean dropping anchor among others in Cuban, Jamaican, Haitian, Dominican and Curaçaoan ports. The book represents also a voyage in time depicting the most striking episodes in the history of the individual islands and in the general past of the region. Typical of Gelt Dekker, his descriptions are a mixture of understanding and love for Caribbean realities and outright skepticism about the political and economic viability of these small island communities. Nevertheless, ‘The Caribbean’, offers a wealth of mainly historical information about the region and it also contains, coming at the end of most chapters, so literally last but not least, the culinary highlights of the different islands. His prose is fascinating and expressive and is occasionally not completely devoid of a tinge of playful ridicule. But, that is Jacob Gelt Dekker at his best: he is sincere in the expression of his feelings whether these are acceptable for the outside world or not. Ladies and Gentlemen, ‘The Caribbean’ is a loving tribute to the Caribbean region and it is my sincere hope and fervent wish that the book will sell like hot cakes on both sides of the Atlantic, mainly because its royalties will contribute to one of the noble objectives of the Fullbright Center in Amsterdam. On behalf of the Government of Curaçao I would like to congratulate Mr. Gelt Dekker with his new book and thank the Amsterdam Publishers for making his brainchild see the light of day. Address by Mrs. Ann Groot-Philipps MA, Director of the Cabinet of the Minister Plenipotentiary of Curaçao in The Netherlands. 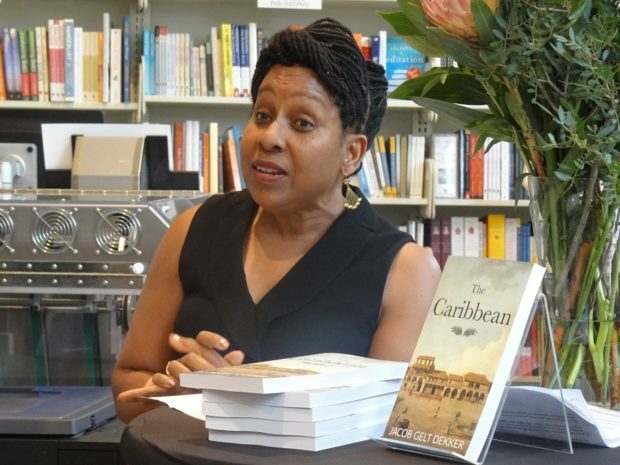 Book Launch of ‘The Carribean’ by Jacob Gelt Dekker, The American Book Center, Amsterdam, 24 May 2018; the book is being published by Amsterdam Publishers.